Come home to the comfort of this luxurious retreat tucked behind the gates of the peaceful community of King & Bear. 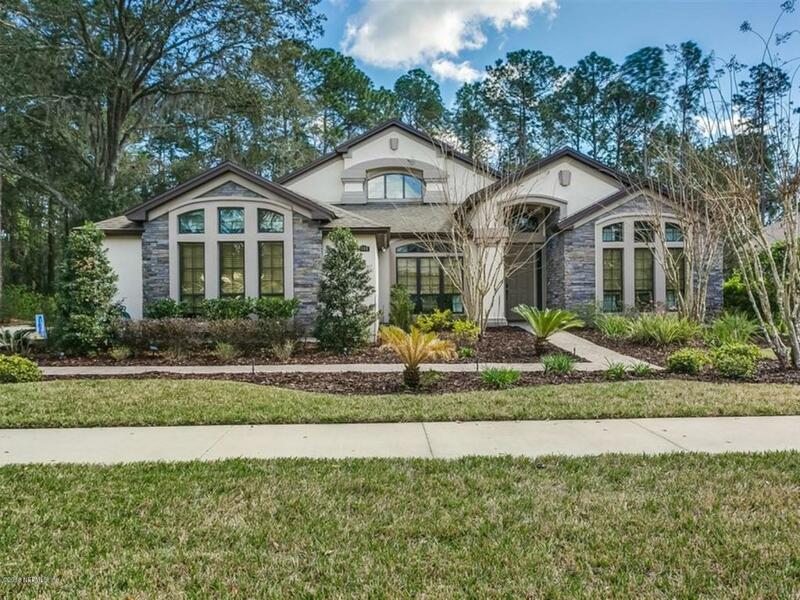 This stunning, yet inviting pool home on a preserve lot shows just like a model. 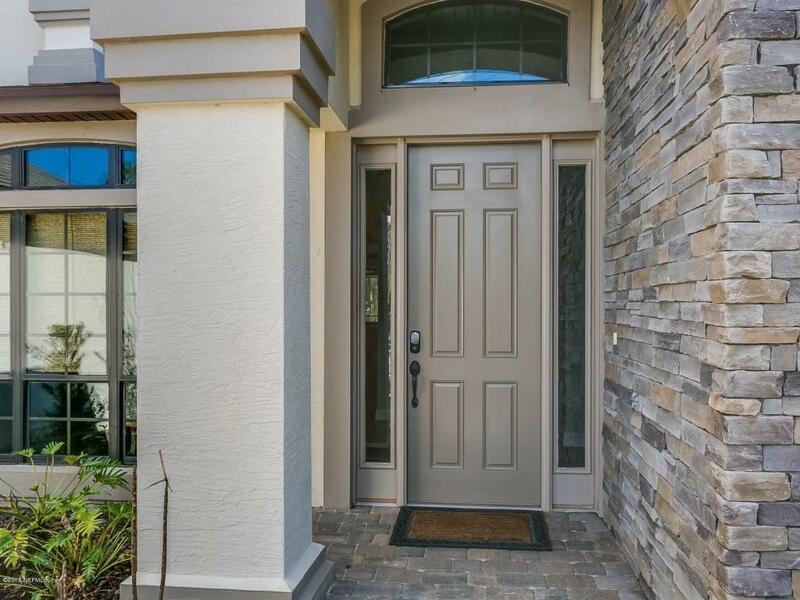 Step through the door to soaring ceilings & hand-scraped hardwoods. Enter the spacious great room, past the gourmet gas kitchen complete w/ island & double ovens to your private oasis w/ 1,500 sq ft of addt'l outdoor entertaining space! A summer kitchen will keep you outside w/ guests, while all enjoy the large 16x32 saltwater solar-heated pool/spa (gas aux heat) operated, along with LED lighting, from your phone! Lg office/den with ensuite pool bath could be 5th BR. 4th BR is connected to same pool bath. 3 zones make this great for multi-gen or guests. 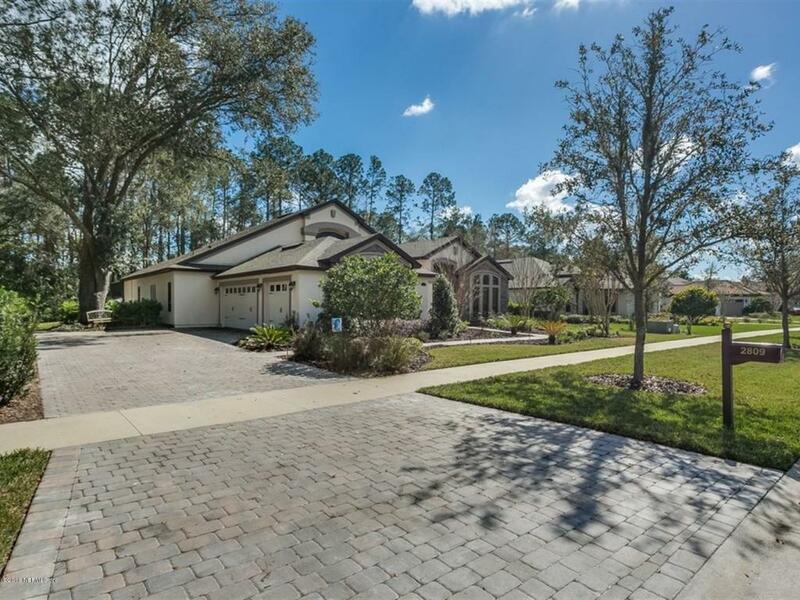 Short walk to playground and golf course!Come enjoy all that King & Bear has to offer: world class golf, amenity center complete with fitness center, heated lap pool, beach-entry pool, tennis courts, playground, and miles of walking/jogging/bike paths. Guard at gate 24 hours a day, 7 days a week. World Golf Village (WGV) is situated between the small town feel of St. Augustine and the big city conveniences of Jacksonville! This home is located minutes to Interstate 95 for easy commute.